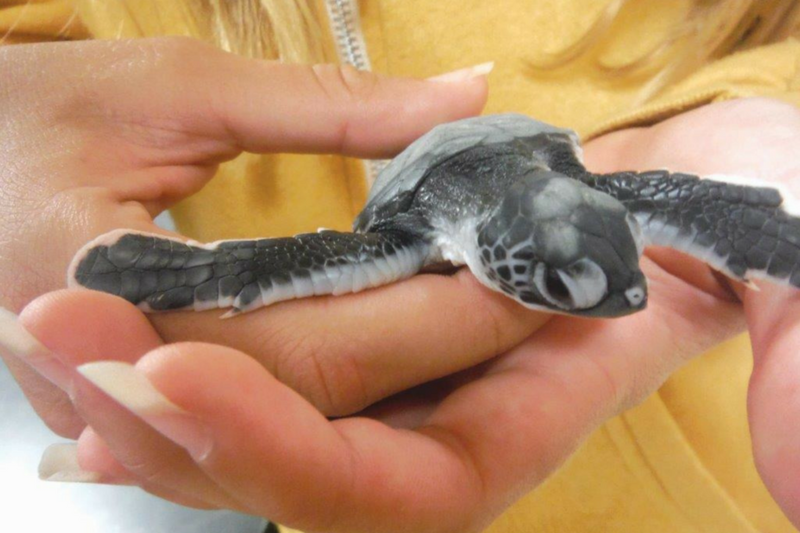 Sea Turtle Camp is not just a summer experience. You will work directly with our Program Director to customize a program for your school group, scout troop, or service organization. These programs can be run anytime during the traditional academic calendar year. We take the unique, exciting activities and experiments from our summer curriculum and turn them into hands-on, feet-wet experiences that can be aligned with almost any course of study. When students clean and care for injured sea turtles, pull seine nets along the edge of the salt marsh, collect specimens hidden among rocky tidepool crevices, or paddle through the estuary behind the barrier island, they develop a personal relationship with nature. This inspires a sense of inquiry that can be translated both in the classroom and in the field. Please review the list of sample activities, but know that we are able to add in activities that meet your groups needs. The ability to customize your field trip allows for complete flexibility in the content and structure of the program. Each activity can be tailored to address the subjects that your students are covering in the classroom or with the organization. We are able to create meaningful connections that will solidify the material and pave the way for future extensions. We’ve coordinated activities for school visits, multi-day programs, residential camps, and travel experiences with audiences from elementary to high school age participants. We can work with you to create an engaging academic program that will fit all of your groups’ needs. Make your next field trip one that no student will forget! Cost is dependent upon the package of activities and amenities desired. To start customizing your group’s program, please contact our Program Coordinator. We look forward to exploring the marine world with your students! Wilmington is the closest city, and therefore offers the most affordable housing options in the area. If your group is interested in a residential program, you can look into finding your own housing, get a recommendation from us, or book housing through us at the Wilmington KOA in climate-controlled cabins. Located about 30 minutes from the hospital and centrally located to our various field sites, the KOA is nestled in the woods among the longleaf pines, providing the perfect retreat for our campers after a fun day of ocean exploration. The KOA offers us many terrific amenities, including an outdoor pavilion, swimming pool, and our own bonfire pit – perfect for cooking up tasty s’mores. Each camper has their own bed, and cabins are gender-specific. Linens are not provided; each student will need to bring a pillow, set of twin sheets, and either a sleeping bag or blanket. Over twenty sea turtles are a lot to care for, especially with their individual diets, personalities, medicines, vitamins, and care regimens. There is continuous monitoring of intake and output, water quality, temperature, cleaning, redirecting of water pipes, and laundry, laundry, laundry. Volunteers handle these duties and many more every day. Changing hats from feeders, cleaners, and medical care providers to ambassadors, educators, administrators and fundraisers. They do it all and more! The first volunteers arrive each morning at 7 AM to begin food and medication preparation. Shortly after that a highly dedicated team of folks arrive to feed each turtle according to their needs and wants. Like humans, they can be extremely picky eaters! After feeding time they methodically scoop clean each tank, administer care to the needs of each turtle, refill every tank, wash, dry, fold and stack towels, repeat, repeat, repeat. After tending to the turtles, volunteers then begin to physically prepare the building for afternoon visitors so that the Sea Turtle Hospital can introduce its patients, create awareness, and educate the public. It takes many people each day to keep the facility running smoothly. It is often difficult and hot work, not to mention dirty and smelly. However, the rewards are plentiful and they can be found by simply looking into the turtle’s eyes and witnessing their eager and exciting return to the sea. Campers will engage in these daily activities alongside and under the supervision of regular Sea Turtle Hospital volunteers. You will learn what it takes to care for, rehabilitate and release one of these magnificent creatures back into its home in the sea. Participants will get to know the turtles by name, learn how they’re named, and begin to recognize the many different personalities exhibited by each turtle. By the end of the week, campers will come away with the experience of a lifetime at the Sea Turtle Hospital and an education regarding every aspect of the sea turtle from their diet to species recognition to turtle first aid. All of your time spent here will count towards community service hours. One of the most unfortunate aspects of working so closely with sea turtles is the devastating reality that they are being killed by numerous things, hence our dedication to protecting and healing them. All too often they wash up in our sounds and beaches. It is then that the professionals in our field must take up the duty of discovering how they died and cataloging each death. This is not your average biology class dissection. A necropsy is a medical procedure performed on animals specifically for the purposes of determining the cause and manner of death and to evaluate any disease or injury present in the specimen. A thorough scientific examination of the organs can reveal a lot about a sea turtle’s life and habits. Once the necropsy has been performed, certain elements of the marine creature are then labeled and sent to Marine Fisheries for further research and studies. There will be several mornings where we’ll walk the pristine beaches of coastal North Carolina in search of freshly made turtle tracks leftover from the night time nesting habits of the turtles. In North Carolina, the nesting season runs from mid-May through August. The female loggerhead sea turtles comes ashore to nest 3 to 5 times during a nesting year. A female will deposit an average of 120 eggs per nest. Her eggs will incubate in the sand for about 60 days. It is vital to the sea turtle’s proliferation that we perform these walks up and down the beaches of the east coast of the United States due to the amount of use they receive during the summer months. Vacationing tourists, 4×4 traffic, and storm surf are all major threats to the unborn sea turtles. Volunteer groups up and down the coast monitor their local beaches every morning, because after a long summer day at any given beach any hint of a sea turtle mother’s tracks are covered up by footprints, tire tracks, and high tides. The first light of day provides a chance to spot the unmistakable parallel tracks left behind by a large flippered reptile dragging its heavy body through the sand up to its chosen nesting spot. From there, it is necessary for sea turtle patrol groups, such as ourselves, to identify the exact nesting location, rope it off, mark it and protect it from intrusion. After all the hatchlings have popped out of their eggs, they emerge from the nest together and race to the sea. Weighing in at about two ounces, their first challenge on our beach is escaping the deadly grasp of the ghost crabs. Once in the water they must hide from both bird and fish predators, and make the swim to the sheltered seaweed rafts in the Sargasso Sea. It is a long swim to maturity. It is estimated that 1 in 1,000 survives the first year, and as few as 1 in 5,000 – 10,000 survives to adulthood. In 20 to 30 years the surviving hatchlings will reach adulthood, and the females will then return to their natal beaches to lay their eggs. The cycle will be complete and then begin once again. With our network of Sea Turtle preservation organizations we are always on standby should one of our local early season nests hatch. Unlike baby alligators, which are liberated from their nest by their mother, sea turtle hatchlings must do it all themselves. To break open their shells, hatchlings use a temporary, sharp egg-tooth, called a “caruncle.” The caruncle is an extension of the upper jaw that falls off soon after birth. Digging out of the nest is a group effort that can take several days. Hatchlings usually emerge from their nest at night or during a rainstorm when temperatures are cooler. Once they decide to burst out, they erupt from the nest cavity as a group. The little turtles orient themselves to the brightest horizon, and then dash toward the sea. If they don’t make it to the ocean quickly, many hatchlings will die of dehydration in the sun or be caught by predators like birds and crabs. Once in the water, they typically swim several miles offshore, where they are caught in currents and seaweed that may carry them for years before returning to near shore waters. There are many obstacles for hatchlings in the open ocean. 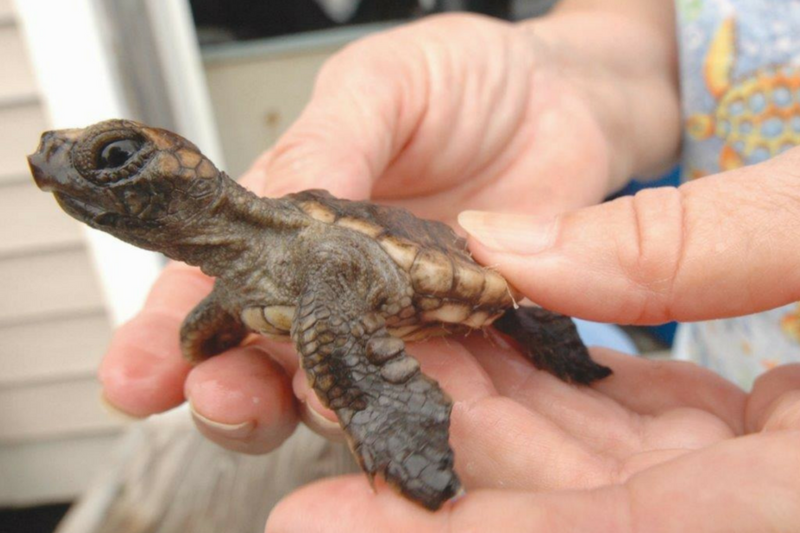 Sharks, big fish, and circling birds all eat baby turtles. Many also die after accidentally eating tar balls and plastic garbage. The obstacles are so numerous it is a miracle that they survive to reproduce. Our camp directors and office staff will be on constant standby during your time at Sea Turtle Camp should any of the known nests appear to begin hatching. The timing is usually somewhat predictable so the early season nests will have volunteers watching in anticipation each night within their hatching window. They keep predators at bay, and keep any artificial lights in the surrounding areas down or off. Once hatched, they may even set up a safe-path to lead the little hatchlings straight down to the ocean where they must then fend for themselves. We may have the opportunity to sit in on one of these night watches or even help the little guys get to their new home in the great blue ocean. Part of being a researcher is conducting sampling expeditions, and the moment we step on board the research vessel we will transform into marine scientists. Our sampling trip will take us from the heart of Wilmington and down the Cape Fear River toward the mouth, where we will sample, identify, and classify numerous species of vertebrates and invertebrates that we collect during a trawl of this soft, muddy bottom habitat. While the downtown area is located about 20 miles from the river mouth, there is a strong salt water influence. Decades of dredging have substantially changed the habitat, so that it is now characterized as brackish. This provides a habitat overlap for marine and freshwater species, both of which we will see represented in the trawl. Similar to other estuaries, the Cape Fear provides nursery habitat for many species. We’ll collect shrimp and learn how to distinguish between species. There will also be many other invertebrates from the humble-looking sea squirt to the beautiful, yet irritable blue crab. The croakers and spot we pull in may look similar, but our expert eyes will pick up on the subtle differences. We may even see rays, turtles, or dolphins as we get further down the river. This fun, sometimes messy experience is an important look into the field of marine biology. The newly renovated Aquarium will incite wonder and amazement from the moment you walk in the door. The diversity of species and habitat recreations will leave you mesmerized for hours with a feeling of awe. On our visits to the aquarium you’ll feel as though you are swimming from the mysterious backwaters of the Cape Fear River through the estuary and out to the limestone reefs of the Cape Fear Shoals. You will experience all of the sights and sounds of “The Waters of the Cape Fear” from largemouth bass to American alligators and stingrays to sharks. You’ll meet the aquarium’s newest edition, Luna, a rare albino alligator, their resident sea turtles, and even a toothy sand tiger. In the exotic species section you’ll be able to smile at a clownfish, learn why jellyfish sting, and even see a spectrum of colors in the many species of poison dart frogs visiting the aquarium. Occasionally you can witness a feeding of the gators, sharks, or one of the many aquarium residents. Educational films are shown in the auditorium throughout each day to increase awareness and knowledge among the general public. Did I mention that the divers give interactive daily presentations from inside their 235,000 gallon tank? Through all of these activities our staff will provide natural history narration as you follow the flow of water through the exhibits. We’ll experience close encounters with various reptiles and experience hands-on learning at the touch tank where sea stars, urchins, stingrays, horseshoe crabs, and a host of other species take up residence. Many of these organisms, your students may already be familiar with after studying them in the field. Where do crabs, shrimp, and fish go to grow up? How do they survive in a vast ocean where everything is looking for a small, defenseless, easy meal? What type of habitat could support a variety of crustaceans, mollusks, and fish? Why is this stinky muddy place so important for the survival of everything in the first place? In the salt marsh, all of these questions will be answered. We will thoroughly explore this easily accessible and diverse location that makes life in the ocean possible. Located behind our coastal barrier islands, the salt marsh provides a buffer zone between water and land on both sides of the sound. This zone, filled with cord grass, is where we’ll find fish, crabs, clams, worms, and other small invertebrates. It is vital to the health of the Atlantic Ocean. It stretches up and down the entire east coast of the United States and acts as a nursery to many ocean inhabitants for the first half of their lives. Due to its biological diversity, it also serves as a massive filter for pollutants and runoff due to human impact. We will learn how this ecosystem works and what lies at the root of its functionality. Have you ever looked at the underside of a floating dock or the side of submerged pier piling? They are both covered with a tremendous amount of organisms – small but numerous. These exotic animals, primarily invertebrates, are considered fouling organisms due to their ability to attach to any available substrate. They then provide additional habitat for other organisms to find shelter in. After sampling for a few minutes you will be in awe of marine biodiversity as we find representatives from several phyla. Scaly bryozoans reside next to plump sea squirts. Acorn barnacles are attached next to squishy sponges. Crabs cling to this newly created habitat while feathered blennies swim in and out of hiding places. With each new species collected, our staff will pass on interesting facts and life histories. One of the constants that allow typically benthic sub tidal species to reside here is the docks’ consistency. Despite rising and falling tides they are always at the same level – just below the surface feeding in the current. Temperature, light, space, and salinity fluctuate very little here, so you’re guaranteed a packed house of marine biological diversity. Near the tip of the Cape Fear lies the only naturally occurring rocky outcrop in North Carolina. Made of coquina, Spanish for “cockle or tiny shell”, it is the remnant of an ancient reef that used to exist off our coast probably formed during the Pleistocene. Close examination of the rocks will reveal that they are composed of small bits of shells and coral cemented together into a sedimentary structure. After admiring the coastal geology of this feature, we will begin exploring some of the ledges, outcrops, and fissures for sheltered marine life. Species that live between the tides have unique adaptations that allow them to tolerate extended periods both with and without water, salt, air, and light – meaning you have to be pretty hardy to live here. During low tide, we’ll find many species have the unique ability to “clam up” and withhold their moisture. Others attach themselves to the porous rock in small tide pools to await the incoming tide. Algae provide a wet blanket for animals to reside under. Young blue crabs vie for space with the massive clawed juvenile stone crabs. Mussels and barnacles cement themselves in current to feed on circulating plankton. The wave action provides plenty of oxygen and also additional protection for these inhabitants. This space is prime realty for those that can tolerate the fluctuating conditions. For many generations, Bear Island has been an undeveloped natural area that has served as a recreational retreat for those who live or regularly visit the Bogue Bank area. This three and a half-mile long barrier island, with its sandy beach along the Atlantic Ocean side and expansive marsh system bordering the Intracoastal Waterway, is an attraction for boating, surfing, nature watching, sunbathing, camping, and fishing. Along the sound side waterway of the island there are salt marshes and tidal flats. Several acres are oceanfront beach, dunes, upland shrub thickets, patches of maritime forest, and dredge material islands. The Federal Government lists loggerhead sea turtles, green sea turtles, and sea beach amaranth as endangered species. They all utilize this island to sustain life, and the surrounding waters are rich in nutrients and act as a nursery to sustain other important species such as spot, mullet, flounder, pompano, bluefish, menhaden, and mackerel. We believe in hands-on feet-wet education, but we know some amazing people who are best represented in a formal lecture type setting. They are professionals in the field of marine biology and oceanographic research. Our seminars will be held within our Sea Turtle Camp headquarters’ “Board” Room. You won’t find any suits and ties here, but dozens of surfboards racked along the wall, a wall sized screen for watching surf videos, a kicking sound system, a fridge stocked with goodies, a dog named after a particularly beautiful beach on the coast of Oahu, Hawaii, and a full time support staff. Some of our seminar guests will provide an in-depth look at aspects of sea turtle behavior and anatomy. Others will give insight, answer questions, and provide a first-hand account of what it’s like to pursue your passions and work in the field of marine sciences. Each guest will present an interactive exploration into their individual field and give campers some perspective into their future as professionals. There’s no better profession than one you love that will, over time, benefit everyone by way of a cleaner and healthier ocean. You’ll meet professors who teach and perform constant research and monitoring of our local marine life and ocean waters. Graduate students who study plastic accumulation will bring in horrific examples of what’s happening in the open ocean gyres at pandemic levels. Other guests will include those who work within our government as well as non-profit organizations fighting for clean water and public education on how to think greener, identify sources of pollution, and how our everyday actions can affect the ocean. You may even have the opportunity to utilize and navigate a University Library to study and share a topic you believe to be most important in ocean conservation or what field/career you are considering moving towards and why. The best way to view wildlife is from atop your Stand Up Paddleboard (SUP). This sport, is the fastest growing watersport in the world, offers a great way to spot sea hawks diving for dinner, stingrays gliding along the bottom feeding on shellfish, or schools of small bait fish scattering on the surface. There is only so much of the salt marsh you can see on foot. By trailing through the waterways we go deep into the cord grass communities to find snakes, herons, jumping mullet, and get a good workout at the same time. It’s a great way to relax and explore this habitat which again supports much of the life in our oceans. We may even pass a pod of local dolphins in search of a meal. From this vantage point we can see what the wildlife sees and beyond. We can witness the tides moving up and down the cord grass, forcing periwinkle snails to follow just above the water surface, where it’s safest. We’ll see fiddler crab holes once exposed become inundated with the incoming tide, and maybe even get a glimpse of the red drum, North Carolina’s state fish, “tailing” for the same fiddler crabs during tidal floods. By moving stealthily through the creeks and grass we see more, hear more, and get a much more significant experience of this pristine environment. It may not smell pristine, but the salt marshes are also an incredibly important filter for the ocean and coastal ecosystem. Unfortunately not everything gets filtered out and we will get a firsthand account of human impact on this delicate life cycle. Everything from old fishing nets to broken down pieces of Styrofoam to plastic bags end up here and we make it a priority to clean up everywhere we go. There’s no better place to make a difference than right where you are. As barrier islands line our coast and provide vital protection from the powerful waters of the Atlantic, the sand dunes lining the front of our barrier islands are the first line of defense from the wind and waves. As humans, over time, have realized their love for proximity to the ocean we have built our homes and businesses at what seemed like a reasonable distance from the ocean. However, in our rush to make our homes by the sea, a lack of forethought and knowledge of history has put us in somewhat of a predicament. Due to the nature of barrier island movement, these homes which used to be up to a mile from the shoreline now have the waters of the Atlantic constantly lapping at their doors. No one feels the affect of coastal flooding more during hurricane season. Some of the dunes are naturally occurring, but most of them were created to protect our coastal heritage and way of life. Over time we’ve discovered how to proliferate sand dunes utilizing artificial means such as sand fences, but we’ve also discovered natural ways as well. We work hand in hand with the coastal towns to renourish the sand dunes by recycling Christmas trees and planting sea oats. All of these methods utilize similar functions in that they block and prevent sand from blowing past them. As the sand collects, the dunes grow higher and higher. Sea oats are especially valuable because as they collect sand they are forced to grow higher and their roots are forced to grow deeper. This unique ability to hold the grains of sand in a dune formation makes sea oats an incredibly important part of the landscape when you visit east coast beaches. It is the reason you see boardwalks over to the beaches, and “Do Not Walk on the Dunes” signs. In fact, there is a very expensive penalty for walking on or through the sand dunes in most places. Part of our program is dedicated to aiding in the renourishment of these dunes. Working closely with the towns of Wrightsville and Topsail Beach we are able to help protect the resources that we depend on daily. By planting sea oats in organized rows down the beach we aid in the rebuilding of these important structures for when the storms do eventually come. Reduce – Reuse – Recycle…It matters! We are going on a field trip to one of the least visited places in our community. It is, however, one of the busiest, most used, and perhaps one of the most important facilities in the county. The New Hanover County Landfill is one of the, if not the, most high tech landfills in North Carolina. Using synthetic bed lining, a waste water treatment plant, and a constructed wetland for further treatment, it is the home to almost all of our region’s solid waste. We, as a human race, have failed to consider where our daily waste goes and what happens to it. We simply place the conveniently wheeled trash cans (which are twice as big as they used be 50 years ago) out by the curb and all the trash disappears sometime between when we leave for work or school and when we return home in the evening. The trash is gone and we happily roll the empty bin up the driveway. Where did it all go? Who cares, because now it’s much lighter then when we rolled it out this morning and we can start filling it up again…right? Well, for those do wonder, it ends up at the landfill where it sits for eternity. It doesn’t decompose, it doesn’t “disappear”, it just sits…in a big pile. Just down the road, our county has taken great strides to reduce the size of “the pile”. At the WASTEC (Waste-to-Energy Conversion) Facility 85% of the solid waste (450 tons/day) is taken and incinerated. The furnace drives a stream turbine which provides 118,000 pounds of steam/hour which then pumps 7.5 Megawatts of electricity back into the local power grid. The ash is then used to cover the landfill and construct roads in and out of the facilities. The recycling center for our region is also located here and you will learn why it’s so important to recycle and what happens after you separate your recyclables. Although this camp is specifically focused on sea turtles and marine life, we have partnered with our parent company, WB Surf Camp, to include two 3 hour surf lessons in our itinerary. Once you’ve ridden a wave and experienced the thrill of the ride, you’re appreciation for the ocean and its care increases exponentially. WB Surf Camp will give you an opportunity to enjoy our warm ocean waters in a whole new way by learning the fundamentals of surfing. We provide a progressive goal-oriented methodology of instruction and have a minimum student to instructor ratio of 3:1 giving you personal attention. Our professional team consists of trained educators with combined teaching in the thousands of hours on all levels to every type of student. All of our instructors are certified by the American Red Cross in CPR and First Aid.